“Tax Day” is Monday, April 15, 2019! Are you feeling the pinch from taxes this year? 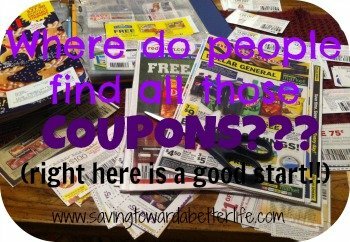 Retailers want to help you stretch what few dollars you have left. 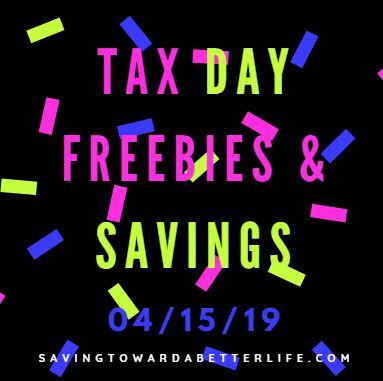 ;) Check out this list of Tax Day 2019 Freebies (& special offers) you can get on Monday 4/15/19! 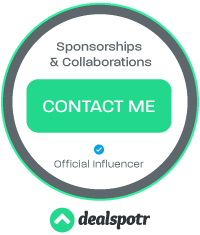 And as always, confirm participation with your location. Applebee’s: $1 Strawberry Margaritas all month. It just might be what you need to take the edge off. Boston Market: Purchase a $10.40 Tax Day Meal Special. Offer includes a Half Chicken Individual Meal with 2 sides, cornbread, a regular fountain beverage and a cookie. Find a location near you. 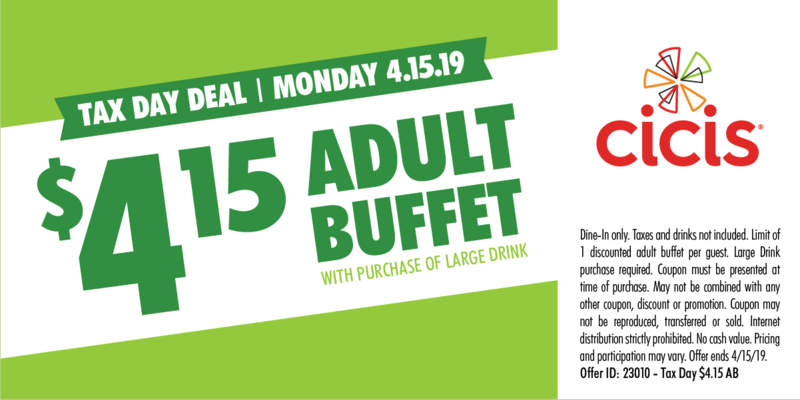 Cici’s Pizza: Adult buffet for just $4.15 per person with purchase of a large drink when you show this coupon on Monday, 4/15. Great American Cookie: Grab a free original chocolate chip cookie when you visit a participating store on April 15. Hardee’s: FREE Sausage Biscuit from 7am-10am! Kona Ice: Shaved ice trucks all across the country will be handing out free Kona Ice on April 15. Planet Fitness: Free HydroMassage at any Planet Fitness location. 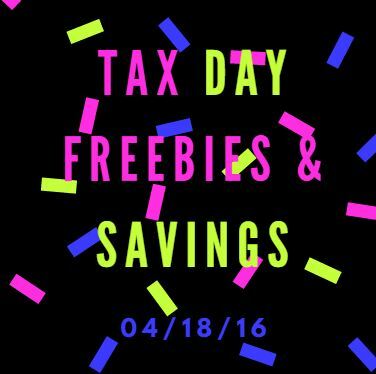 April 11 thru 20th – the coupon will be available on Planet Fitness’ website. Smoothie King: download the Smoothie King Healthy Rewards app to get $2 off a 20 ounce Smoothie from 4/15 to 4/18. Sonic: 1/2 Price Drinks and Slushes all day on April 15th. 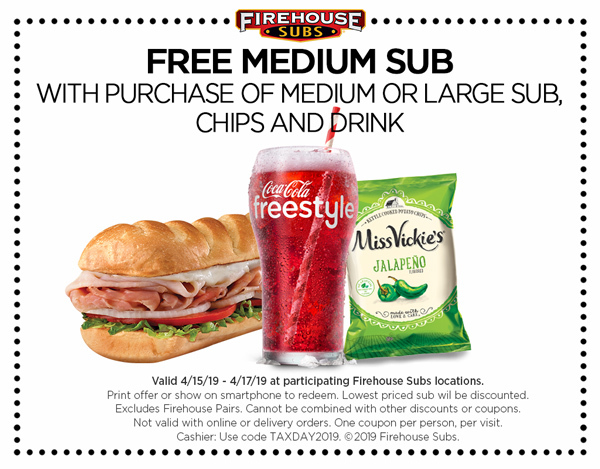 check back later for these offers!